Scenario: You are planning to use promotional items at a trade show. Items you are considering: pens, lanyards, stickers, plastic bags. In reality, 3 of listed 4 items are not a good choice for a trade show promotional campaign. More than likely, plastic bags and lanyards will be provided by trade show organizers or sponsors, which means your items will not be in demand, because they are not unique. Stickers are something not everyone would use (people might take it, but not use it - a complete waste of your money). Customized pens are the only item that remains a very effective promotional tool: people still write, they write daily. This means they will keep your pen and will see your logo every time it is in their hand. 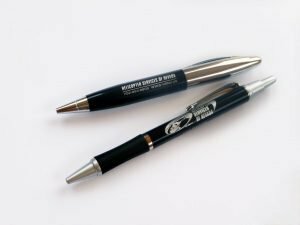 But don't expect that you can create a good impression with the cheapest pen on the market (more about quality promotional products below). Items you should order. Anything that puts your logo in front of your client/ prospect on everyday basis is considered to be an effective promotion: notepads, sticky pads, pens, calendars, clocks, mousepads, reusable bags, household items, etc.The items should be related to the industry you are in: tools for automotive and construction industries, toys and games for children-related industries, first-aid kits for health/medical industries, etc. Scenario: Your budget is very limited, but you want to promote your business or organization as much as possible. Items you are considering: high quantity of low cost pens, key chains, paper bags, and other low cost items. Purchasing a huge amount of lowest quality pens will not do your company any good. It doesn't project your business in a professional manner. Just like your business cards, your promotional products will be your direct representation. Cheap key chains can also be a poor investment. People do not use old-style key chains as they used to: electronic car keys took their place. Paper bags may look nice, but have very limited lifespan. Even high quality bags from boutiques are only used once. If your budget is small consider ordering quality promotional products. Items you should order. Order less. Choose higher quality pens. They don't have to be the most expensive pens, but ones that last long, write well and feel good in hand. Instead of cheap key chains order multi-purpose key chains. There are plenty of options: pen, flashlight, LED light, clock, tape measure, carabiner, pocket knife, timer, floating key chains, etc. The chances are recipient will be happy to use the key chain customized with your logo, not just throw it in the drawer (or even trash). Eco awareness is the reason why more and more people choose reusable, recyclable promotional products. Reusable bags are in huge demand, and they are more affordable than ever. High quality promotional items will earn customers' loyalty, and your company will be associated with good value. Possible scenario: You need to order promotional products with your logo, but the imprint area is too small. Plus, the only logo you have is the one on your website. Items you are considering: pens, mousepads, magnets. 1. A lot of times the imprint area is very, very small (like on a customized pen), and you just can't fit all information you want. 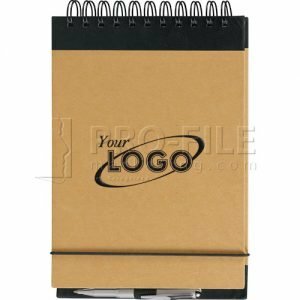 Pens and other small promotional products can be very limiting in the area provided for the logo imprint. 2. 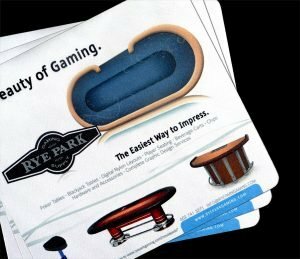 Mousepads are one of he few promotional items that can carry a lot of information on a large imprint area in full color. To make the best of it, you must have a great looking image, including the logo. If you had planned well in advance, you have your company's logo in raster format with high resolution or vector format. Unfortunately, many business owners are not even sure in which format their logo is, who created the logo, or where to get the original file. Most of the files that used online are not acceptable for the print industry. Which means, the logo on your promotional item may appear distorted, pixilated, or not clear. 1. Keep your information very clear and professional. 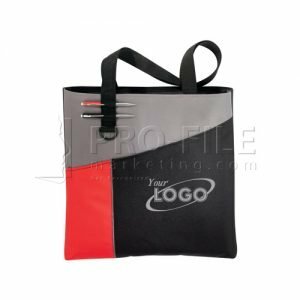 Any promotional item needs to have a logo and company's contact information (address, phone number, website address, e-mail address). If the space is very limited, try to keep the logo and al least one line of contact information, it is essential that your customers/ prospects know how to reach you. 2. Make sure you keep the original files of your logo. If you don't have them, we can design a professional logo for you, or convert your existing logo into vector format. If you need assistance choosing the right promotional product, please call 702-233-6939 or fill out the form below and we will get back to you as soon as possible.